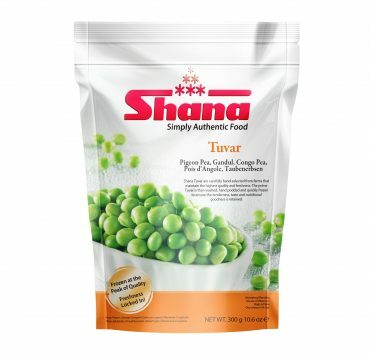 Tuvar contains many minerals that are rich in vitamin A, B and C. Shana Tuvar may be used immediately from frozen, making them a tidy and convenient way of enjoying the vegetable at its best. 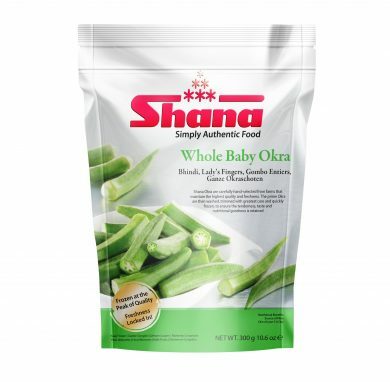 Our vegetables are frozen close to the time of harvest to ensure they retain a higher level of vitamins and nutrients. Absolutely no water is added during the IQF (Individual Quick Freezing) process, providing you with nature’s best. 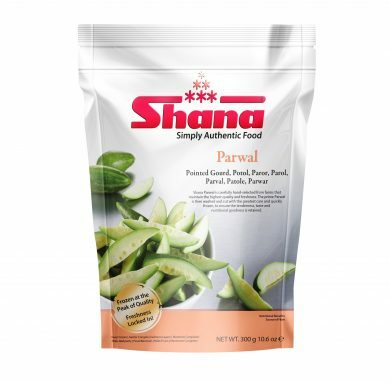 Available in Standard Pack of 300g. Paste: 2 crushed cloves of garlic, 1 inch fresh ginger & 2 green chillies. Boil Shana Tuvar in salted water for 10 minutes and drain. Heat oil in a Karahi or wok and fry onions until golden. Add paste and Shana Tuvar and cover. Cook for 4 minutes. Stir in tomatoes and the rest of the spices. Season with salt and continue cooking for 3 minutes. Add 1/2 cup of water, cover and simmer for a further 10 minutes. Garnish with fresh coriander leaves before serving. Hey Buddy!, I found this information for you: "Tuvar". 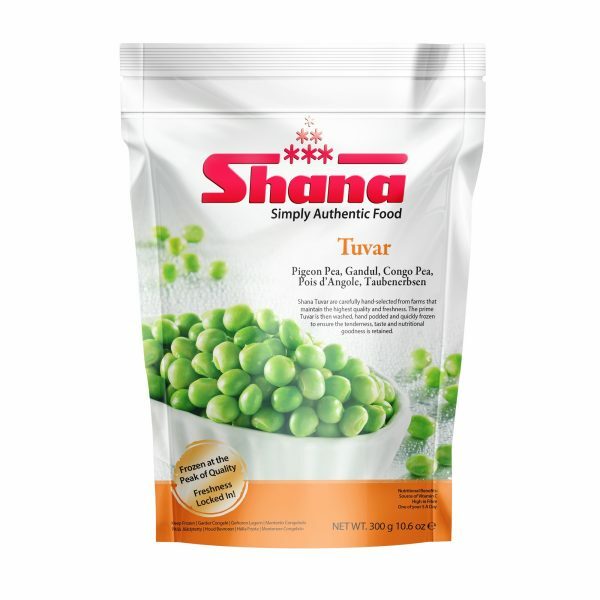 Here is the website link: http://www.shanafoods.com/product/tuvar/. Thank you.